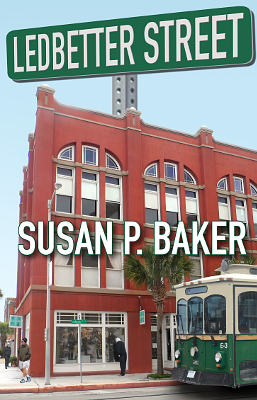 Description: The novel takes place in Galveston in and around a fictional downtown street, based loosely on the Post Office St. area of the Historic Strand district. Marion Reid, who runs a pre-owned clothing boutique on Ledbetter, is in a struggle to regain custody of the autistic child she gave up for adoption many years before. As her son turns 40, his guardian can no longer serve and Marion has the rare chance to have him placed with her where he belongs. The story follows Marion and her close circle of friends, the residents and quirky characters of Ledbetter Street. 363 pages. Viewed: 2,778 times since April 21, 2015.